Adult day services offer an innovative place for supervision and care to be provided at a very cost effective price. Celebrate the myriad of health care services, activities, therapy, relationships and people that can be found in adult day services. The third complete week of September is set aside to raise awareness of the availability and accessibility of adult day programs nationwide. 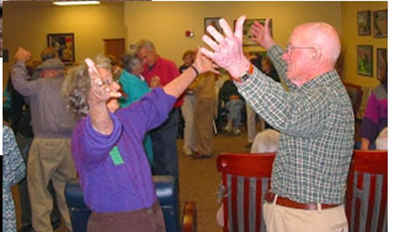 Learn more about adult day services from the National Study of Long Term Care Providers. The NC Adult Day Services Association is working toward laws modifying laws to allow calculated rates instead of the current maximum reimbursement rates for the Home and Community Care Block Grant (HCCBG) and State Adult Day Care Fund (SADCF). Changes would allow for differences such as in service levels, hours of operation, regional economies. Read about the priority here. 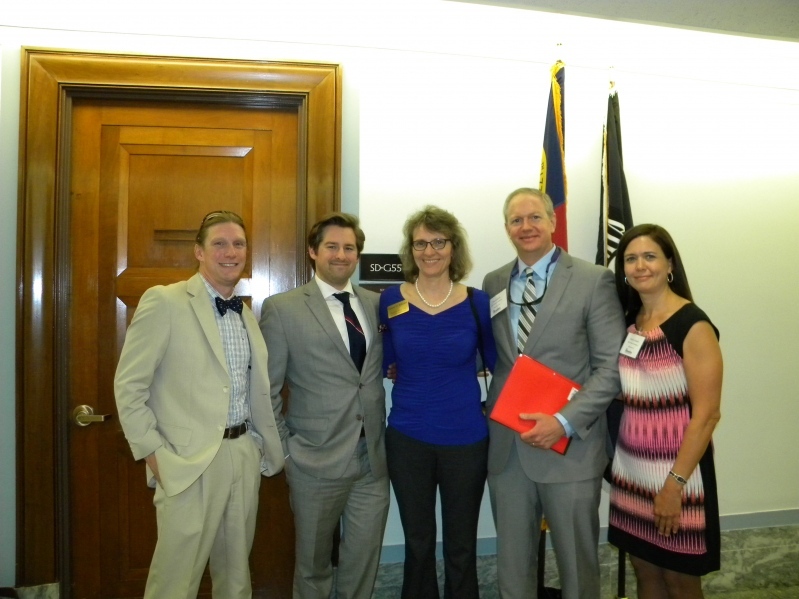 NCADSA was among the presenters in the recent Aging Subcommittee meeting of the Joint Legislative Oversight Committee. Read the stories here from NC Health News... and another published by NC Health News on 02.27.18. CMS has released information on the new flexibility in Medicare Advantage (MA) plans for adult day services. Two CMS memos have been issued instructing MA plans on changes that will be implemented for contract year 2019. One memo relates to the expanded interpretation of the definition for health related supplemental benefits that plans will be permitted to offer enrollees, such as adult day care services. The second memo addresses CMS’ expectations for the MA plans regarding the new flexibility in benefit offerings. The MA plans will be permitted to provide more targeted benefits to certain enrollees beginning in 2019. Since the deadline for plans to submit their bids detailing benefits by early June 2018 and many have likely submitted them, it is more realistic that folks will not see benefits until 2020. We recommend identifying plans in your area now and to obtain contact information for them to be ready to begin discussions later this summer. Results from the 2016 National Study of Long Term Care Providers (NSLTCP) have been released by the National Center for Health Statistics. Data Brief #296: Variation in Adult Day Services Center Participant Characteristics by Center Ownership: United States, 2016 (Link to document: https://www.cdc.gov/nchs/products/databriefs/db296.htm) This data brief is an update to the 2014 version, which examines a variety of participant characteristics between nonprofit and for-profit centers nationally. These characteristics include race and ethnicity, age, gender, Medicaid use, activities of daily living, health conditions, falls, and hospital services use. 2016 National Study of Long-Term Care Providers Web Tables of State Estimates about Adult Day Services Center Participants Link to document: https://www.cdc.gov/nchs/data/nsltcp/State_estimates_for_NCHS_Data_Brief_296.pdf) These adult day services center participant state web tables complement Data Brief #296. Table 1 provides state estimates of the characteristics and Table 2 provides the standard errors for those estimates. About NSLTCP—NCHS conducts the biennial NSLTCP to provide reliable, accurate, relevant, and timely statistical information to support and inform long-term care services policy, research, and practice. NSLTCP currently includes five major sectors of the long-term care services industry—adult day services centers, assisted living and similar residential care communities, home health agencies, hospices, and nursing homes—to produce representative national and state estimates about providers and services users. 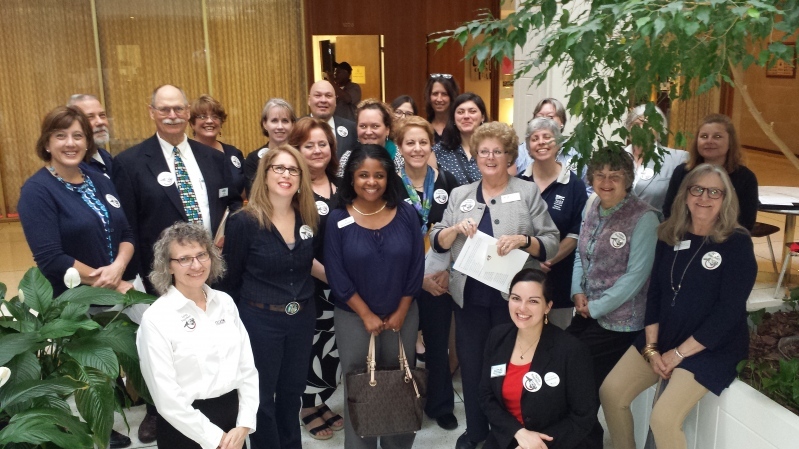 The NC Adult Day Services Association joined about 35 aging service providers as members of the NC Coalition on Aging at the NC General Assembly on April 4. The united message was clear: "There will soon be more people age 60+ than under age 18 and North Carolina needs to prepare!" We promoted "Aging Together" for communities to meet the challenges such as by increasing funding for the Home and Community Care Block Grant, strengthening support for adult protective services and guardianship and establishing a legislative committee to examine the needs of our state’s older citizens makes sense for our state as our older population continues to grow. The rules for certification of adult day services in North Carolina were pending review by the Rules Review Commission in August 2016 based on legislation enacted in the 2013 legislative session (Session Law 2013-413). The process requires agencies to review all of their active rules codified in the NC Administrative Code (“the Code”) every 10 years. Representatives for NCADSA and the NC PACE Association collaborated to submit proposed changes since the Commission has begun implementation of the process. Read an overview of the process here: http://www.ncoah.com/rules/H74PeriodicReviewandExpirationofRules.html. President Obama signed the PACE Innovation Act (PIA) into law on November 5, 2015. The new law will allow the Centers for Medicare & Medicaid Services (CMS) to develop pilot projects based on the successful Programs of All-Inclusive Care for the Elderly (PACE) model of care. NC legislators Senator Richard Burr and Representative Renee Elmers co-sponsored the legislation. Currently the PACE model is limited to people aged 55 and older who meet state-specified criteria for needing a nursing home level of care. The PIA will allow expansion to more populations—including younger individuals, people with multiple chronic conditions and disabilities, seniors who do not yet meet the nursing home level of care. Twelve PACE programs currently operate in North Carolina. NC Delegates Request Support in D.C.
North Carolina Adult Day Services Association was well represented as delegates joined providers from across the U.S. to request support for current federal legislation which favors adult day centers and other home and community-based services. CarePartners Adult Day Services in Asheville, NC, was recognized as an Outstanding Adult Day Center in the national awards competition. The program is recognized as a model from which others can learn from its "best practices." The National Adult Day Services Association, in partnership with the North Carolina Adult Day Services Association hosted the National Conference in Charlotte, North Carolina, on October 9-11, 2014.